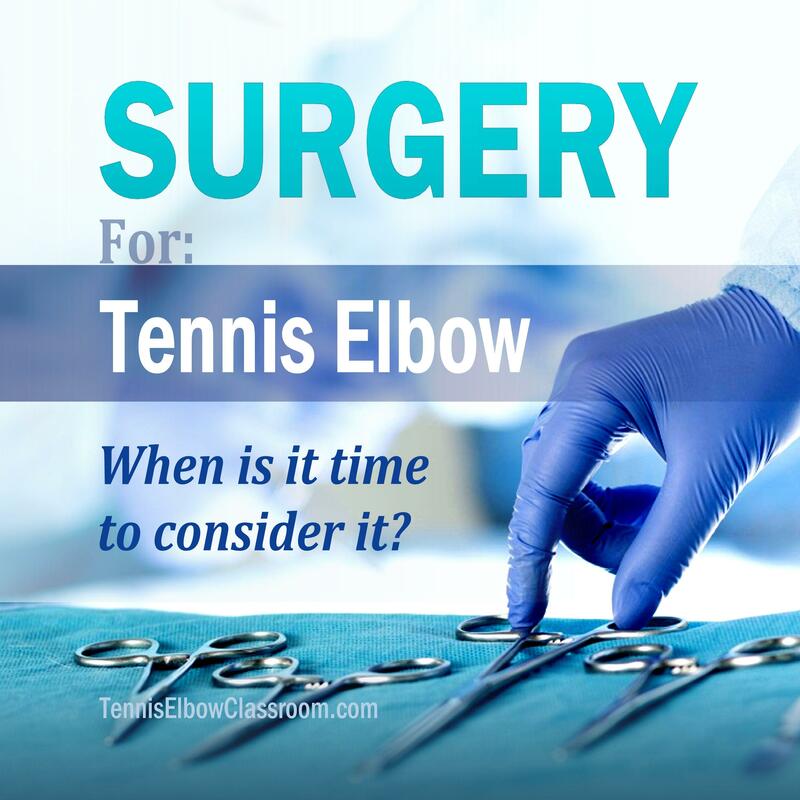 Tennis Elbow Classroom: Surgery For Lateral Epicondylitis: How Do You Know When It's Time? Surgery For Lateral Epicondylitis: How Do You Know When It's Time? And you've been struggling with for it months - possibly even years! When should you realistically start to consider surgery as an option? How do you know if you're a good candidate for a surgical procedure or not? When is it time to abandon more conservative measures? I hope this episode helps you in your decision making process, if you find yourself starting to wonder!